On Friday, April 26, 2013 the Beyond the Boroughs National Scholarship Fund and Chef Richard Ingraham partnered to host a healthy eating seminar at Food and Finance High School in Manhattan as a part of Beyond the Boroughs NFL Draft Week. Chef Ingraham taught a group of 150 students that healthy eating is part of a star athlete’s lifestyle. Q&A followed with several of Tutan Reyes’ NFL friends (Baltimore Ravens James Ihedigbo and Chris Canty pictured above). Chef Ingraham also conducted an interactive cooking demo. 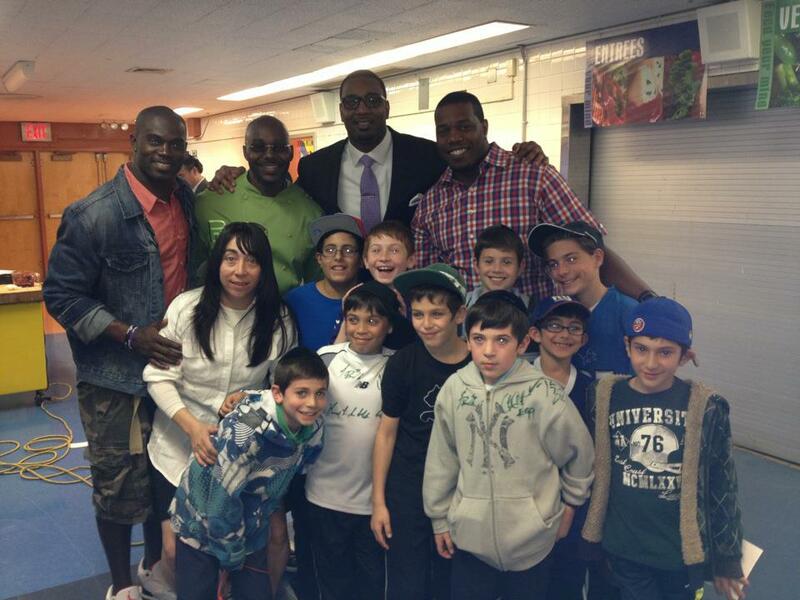 The students learned healthy cooking tips, recipes, and received the opportunity of meeting current and former NFL stars. Chef RLI also partnered with Beyond the Boroughs to create the Ben and Sarah Gibson Culinary Scholarship Award to help high school graduates attend culinary school. Michael Gutierrez from Food and Finance High School is the first recipient of the award, he currently attends Johnson and Wales University in Providence, Rhode Island. Thank you to our sponsors for our first annual Healthy Eating Seminar!